Any doubts that we might have chosen the wrong Black Cab to ride around in went out the window. Our man had been in the business for years – all his adult life – and he’d seen the right side of 50. His family had a fleet of cabs and each week, for nine weeks on say, a Tuesday, their cabs were hijacked and returned after 20 minutes. Then one day, in the tenth week, someone somewhere was shot. Nothing like making use of local resources for a little clandestine shadowing. There are official Black Taxi tours and then there are the taxis (that may or may not be black) who will take you on a tour if you ask them. Not every driver will do it but a lot will. We got lucky on our second ask. I didn’t think to ask his religion but on reflection am glad he was protestant. These tours (90 mins, £30) are very individual, as each driver will have his particular history and his particular experience of what went on and is still going on. Back in the day, if asked what his religion was, he’d say that taxi drivers didn’t have a religion. As kids, they’d ask each other to spell WHITE in an effort to see who was Catholic (we say ‘haych’ for H… he said ‘aitch’). It was strange to see places I’d been hearing about for years in the news. Queen’s College, Crumlin Road Jail, the Shankhill. But for me, the murals were what had to be seen. Sometimes walls do tell stories. 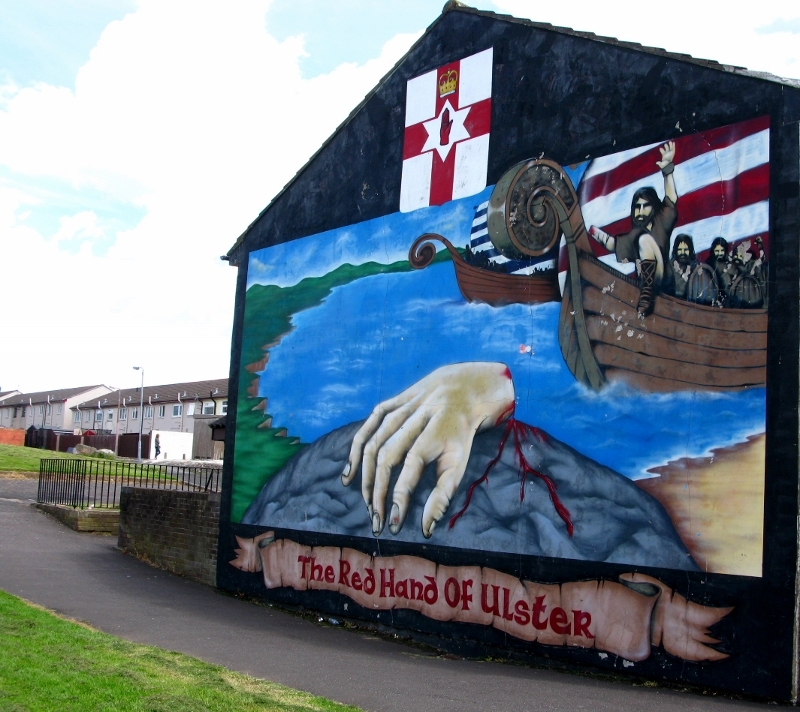 A website devoted to murals in the city has catalogued 218 murals in three categories: Loyalist/Unionist, Republican/Nationalist, and social/cultural. There is also a university archive. With the oldest dating back to 1908, for most of that century, murals were a Loyalist thing. Most involve symbolic imagery and to my mind they’re not nearly as evocative as the Republican ones, which favour a more ‘person-centred’ style. And far from being a thing of the past, the murallers (is that even a word?) are still on the go. 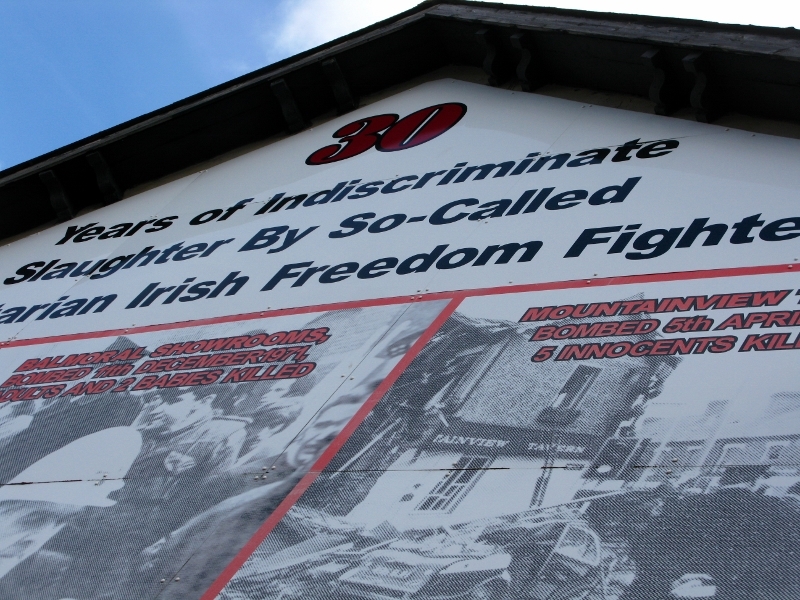 One, on the Shankhill Road, could be seen as a brave attempt to undermine Sinn Féin’s role in the peace process. 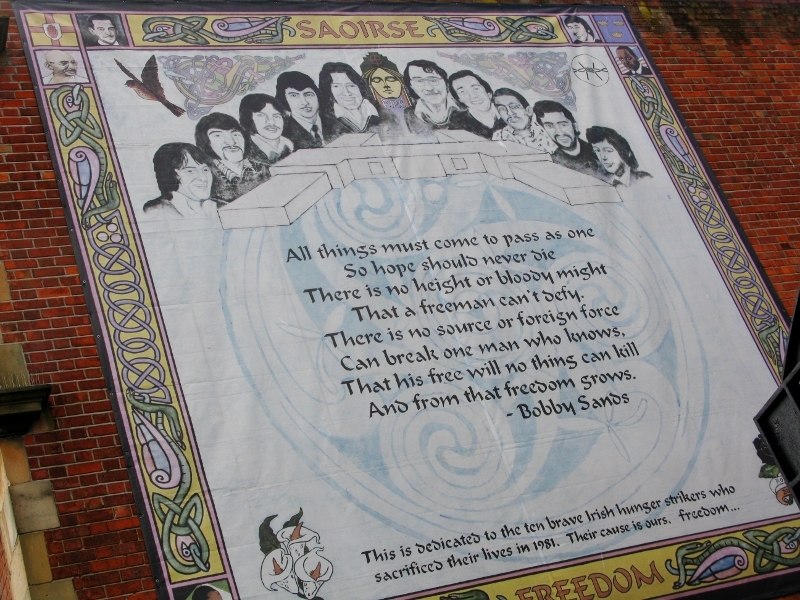 Republican murals came into their own after the 1981 hunger strikes. 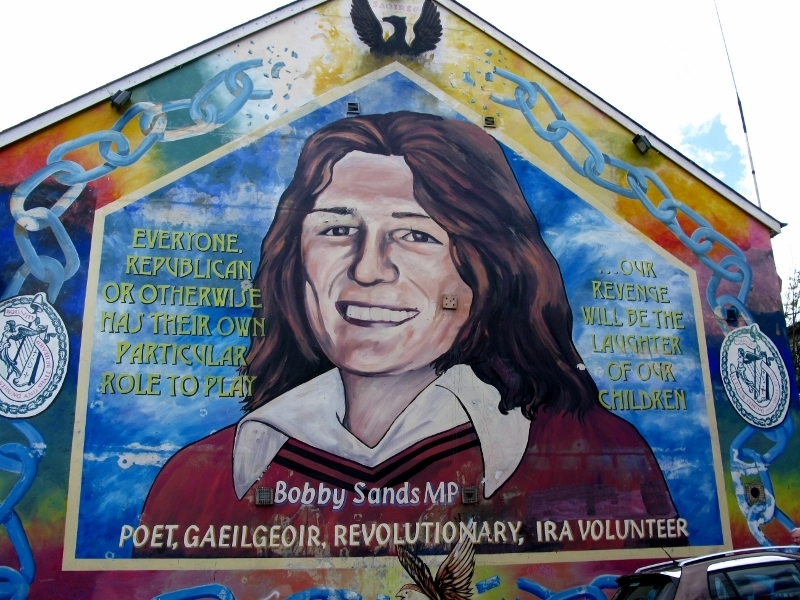 The rather beatific face of Bobby Sands (the IRA commander who led the hunger strike in the Maze Prison) smiles down from many walls. Far less militaristic than their Loyalist counterparts, these seems less threatening somehow, but then, that could be down to the glasses through which I was looking. Gardens of remembrance can be found all over the place, on both sides of the divide. 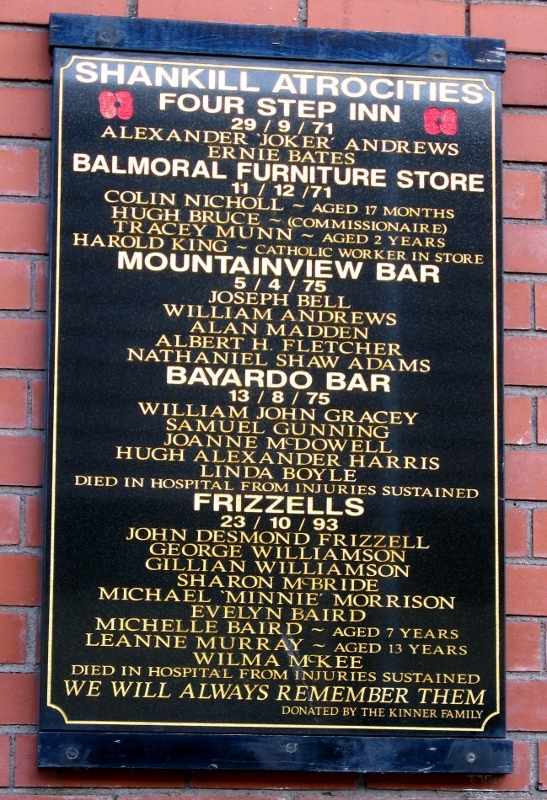 Wall plaques with names and dates of birth inscribed list the fates of many and the fortunes of few. It doesn’t matter which side you were on – both are equally represented. 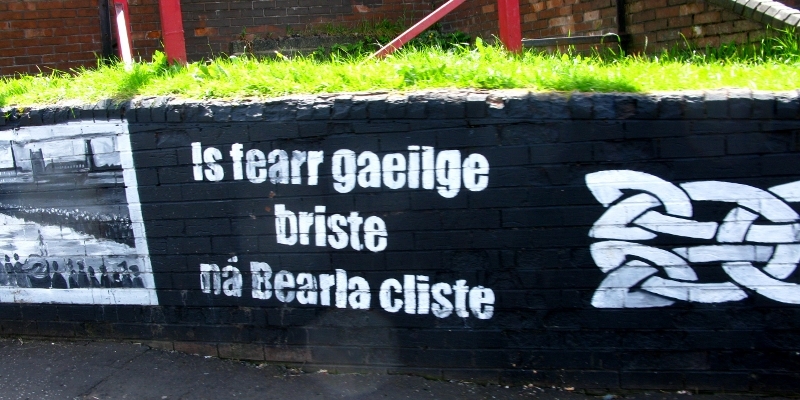 While I don’t claim to have a complete understanding of what happened during the Troubles (and wonder if anyone really does fully understand), the power of the words had an effect. To read about murder and then see the names, to read about atrocities and see that they had died in hospital from injuries sustained was all quite harrowing. I envied those in the other cabs who knew little and cared less; I envied them their multilingual wows and awesomes as they made their way through which what might have seemed like a large open-air urban art gallery. For me, it was a little too close to home to be comfortable. 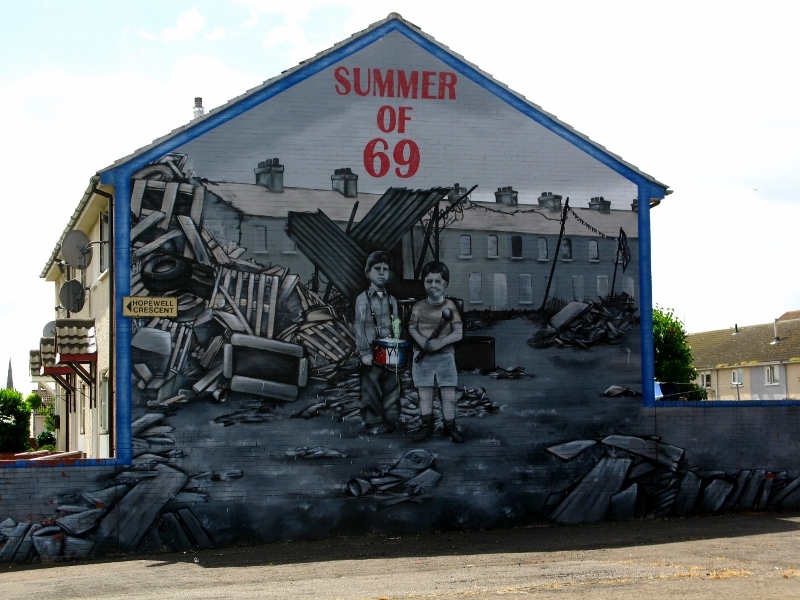 The Loyalist mural on Hopewell Crescent marks the riots of 12-17 August 1969, one of the bloodiest in the 30 years that would follow and be known as The Troubles. Many things happened that summer that would affect what went on. The International Commission of Jurists (ICJ) published its report criticising the NI government, accusing it of police brutality and religious discrimination against Catholics. It noted that South Africa was citing what was going on in the North to ‘justify their own policies of discrimination’. And it was around this time, too, that the ICJ added Northern Ireland to the list of states/jurisdictions ‘where the protection of human rights [was] inadequately assured’. 1969 was to set the tone for years to come. The first policeman shot, Victor Arbuckle, himself a protestant (and my cabbie’s uncle) was shot by the Protestant Ulster Volunteer Force in October 1969. 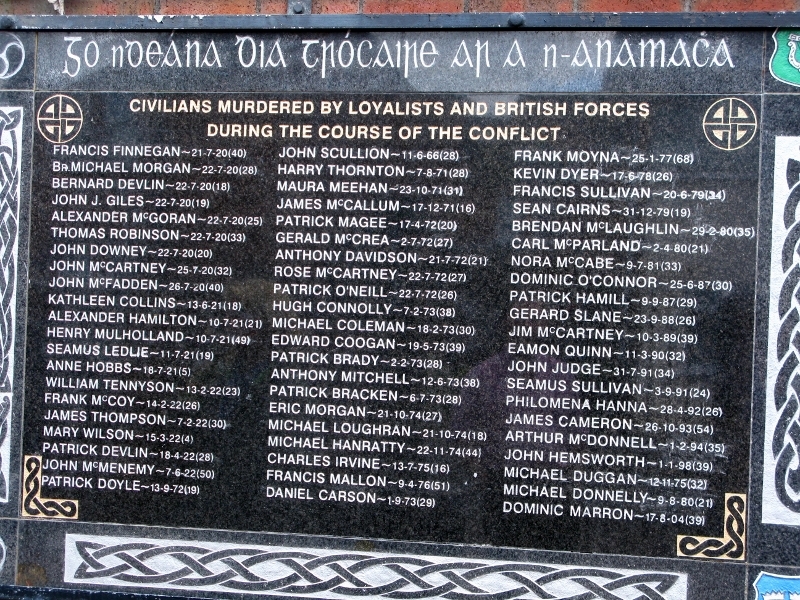 The last, a Catholic, Stephen Carroll, was ambushed by the Catholic Continuity IRA in March 2009. So much for the Protestant/Catholic divide. 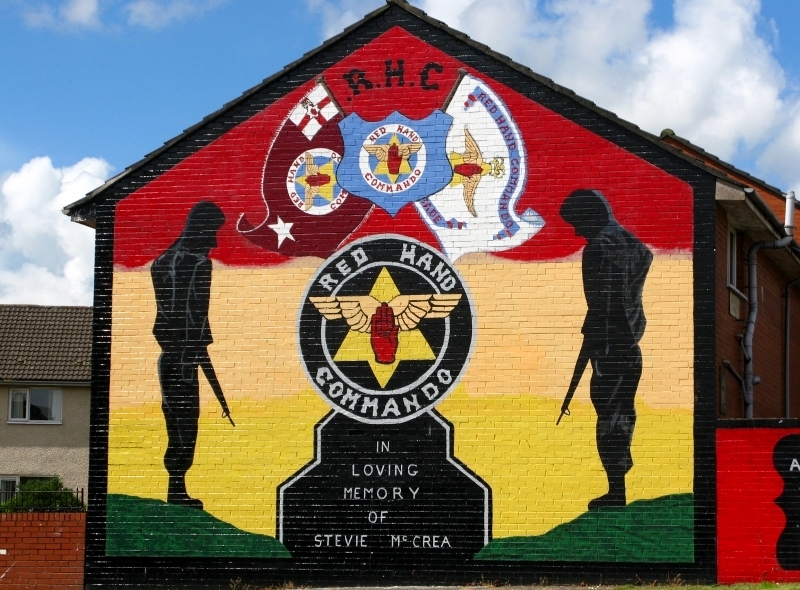 Thirty years of violence are spoken of by these murals. Yes, in some places, walls do talk. Does intelligent ignorance beat apathy? Forty years of violence (do the sum!) achieved little except to show the many of us who were surprised at the fact, how crudely primitive a minority of our compatriots could be, and how little there was effectively to be done about it. Failure to note this lesson of history has since been demonstrated in Iraq, Libya, Rwanda, Syria . . . Pray for the day to come when these murals are plastered over.